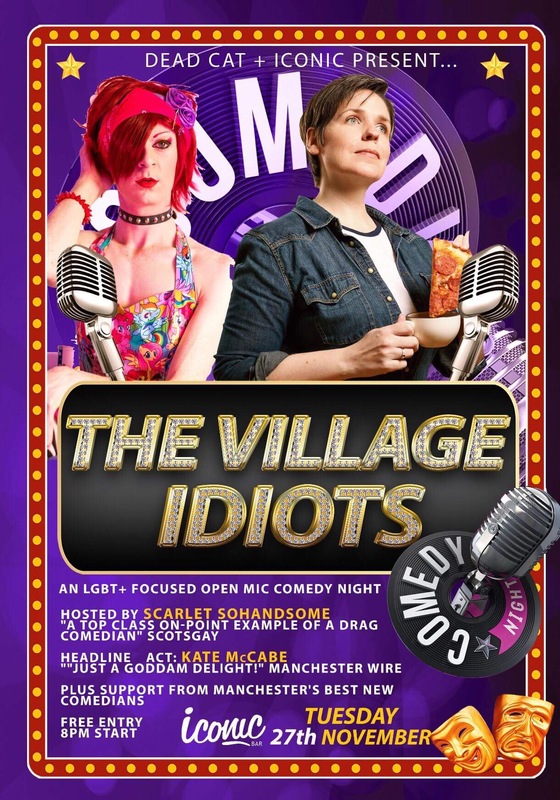 THE VILLAGE IDIOTS is Canal Street’s fabulous new LGBT+ comedy night. Join us for a diverse evening of camp comedy at The Village’s premier gin bar. Every month we will bring a top-class Headline Act plus 4 of the best new local acts …AND DID WE MENTION IT’S FREE!!? Hosted by Drag Diva SCARLET SOHANDSOME.